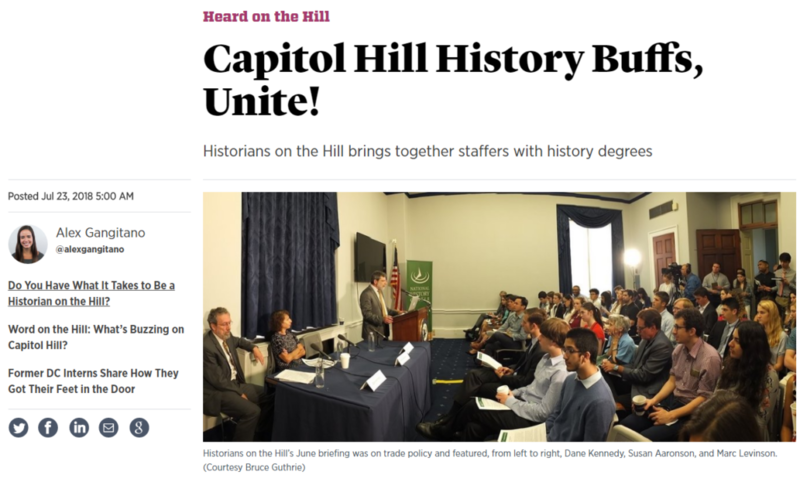 The National History Center’s Congressional Briefings are designed to provide historical context and perspective on current issues for policy makers and members of their staff. The speakers reflect upon historical events and developments that have influenced the evolution of current policies and provide knowledge pertinent to the consideration of policy alternatives. 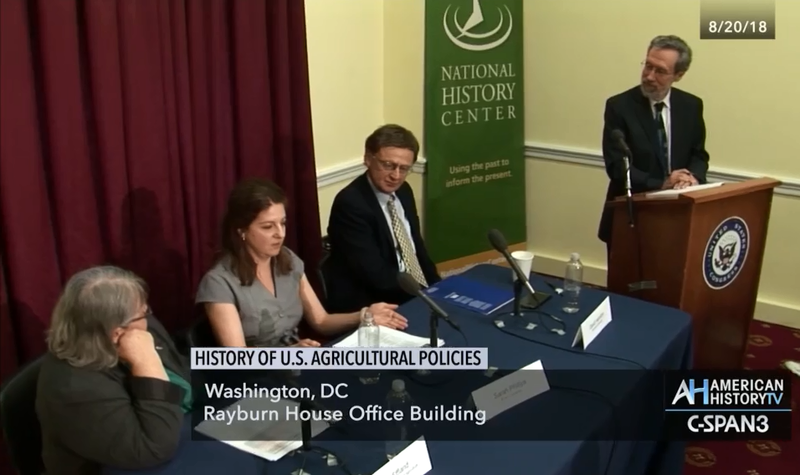 In August, the National History Center hosted a congressional briefing on the history of US agricultural policy. At the briefing, Anne Effland (USDA), Sarah Phillips (Boston University), and David Hamilton (University of Kentucky) discussed the origins of the modern “Farm Bill,” and the evolution of federal agricultural policy since 1970. Read Dane Kennedy’s recap of the event, “Ground Strategy: How Federal Farm Policy Shaped America,” for Perspectives Daily.